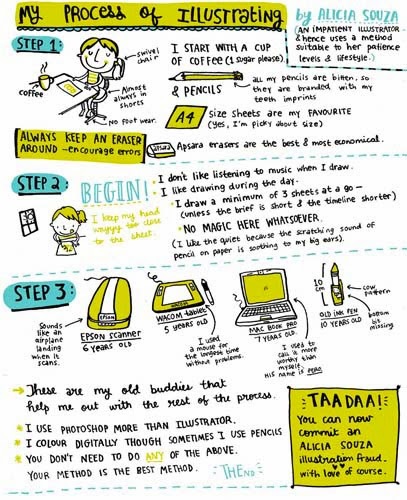 Based in Bangalore, born and schooled in Abu Dhabi, and armed with a degree in communication design from Melbourne, Alicia enjoyed a brief hiatus as a part-time freelancer and a part-time banker, before she finally decided that idiosyncratic, tongue-in-cheek humour and the pencil were her constant companions. 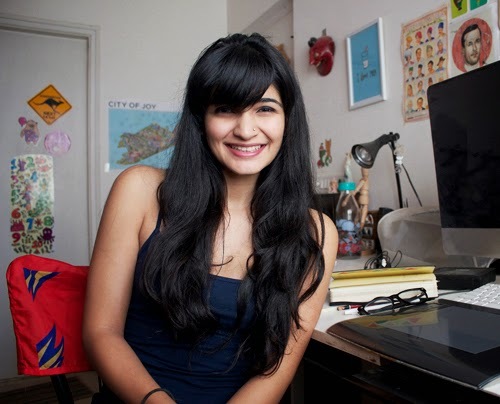 In 2010, she moved to Bangalore and co-founded the lifestyle brand Chumbak (known for its ‘India’ themed designs). A year later, beckoned by her creative calling rather than her entrepreneurial skills, Alicia opted to be a 24/7/365 humourist-illustrator mega-minding the little nothings, bringing people to laugh at themselves and life in general. Most of her musings are uploaded on her facebook page, which has over 16,800 followers. “Cartoonish” in nature, her funny bone focuses on a variety of ‘daily life instances’ – varying from hitting the snooze button in the morning, to cooking your favourite snack, getting a call from your friend to reading a book before going to bed. Her designs are fairly simple but cute and have a uniqueness of their ilk. Alicia sticks to the tools she’s “quickest and most comfortable with.” She draws on paper and then scans them into the computer to finish up. She has illustrated a children’s book, designed for Tinkle comics and often puts up stalls with her range of tees, magnets, mugs, mouse-pads, notebooks and badges. She hopes to open an online store soon.